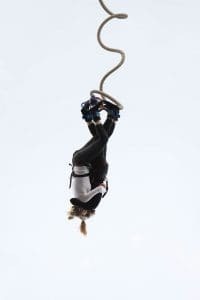 Britain's Highest Bungee Regular Bungee Jump – Take the 300ft plunge on the biggest and best. Strap yourself in and feel the adrenaline rush as you jump 300ft at the UK's Highest Bungee Jump! 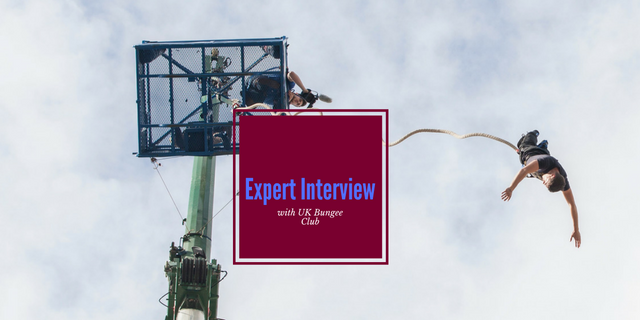 One of our most popular and most widely appreciated experiences; the Highest Bungee in the UK is a fantastic experience that combines adrenaline and fear with an immense sense of reward on completion. The view from up there is stunning, if not a little daunting - but the feeling that will soon follow your leap is fairly indescribable. As you plummet downwards the adrenaline kicks in and the rest is just pure pleasure! Bungee Jumping is already fantastically extreme; so why not go the whole way and do the highest!? Take a leap of faith today and remember the exhilaration for the rest of your life!You will arrive at the location and make yourself known at the main desk; you will then be required to complete a membership form. You will then be weighed twice to ensure that the correct bungee rope is used for your jump. Next it is time for you to get into the harness and have the ankle straps attached. The professional staff will perform a number of checks and double checks on all of the equipment. You will then enter the cage where you will be lifted to a height of circa 300ft. Now all you have to do is jump off! There will be a personalised DVD and merchandise available for you to buy on the day to remember your experience with. Pre-booking is essential. All dates are subject to availability. The Highest Bungee in the UK is only available on selected dates, please enquire to find out when the next one is. DVD and merchandise available on the day. Participants: The Britain's Highest Bungee Jump (300 ft!) is for 1 participant. Very enjoyable experience and found the staff very friendly and professional. ALL THE TEAM WERE VERY WELCOMING, PUT YOU AT EASE,WEATHER COULD HAVE BEEN A BIT BETTER, BUT DIDN'T RUIN THE OVERALL HEART THUMPING BUZZ OF THE JUMP, BLOODY BRILLIANT!! I had always wanted to do a bungee jump so when my daughter bought it for me last christmas, I was so pleased. The whole experience was enjoyable and the staff on the day couldn't have done more. I came away with a memory I will never forget. Thank you! The staff were genuinely nice people. Despite the busy schedule and a lot of impatient people, all of the staff kept their calm and were friendly. The day I went for the bungee was a bitterly cold winter day and having travelled far and woke up extra early I was frustrated to say the least when I found out it was delayed. But the staff were professional about this and made it a great exprience nonetheless. So thank you. Really good fun would recommend it to anybody. Awesome Awesome Awesome! The weather was amazing, the lake looked beautiful and the jump knocked my socks off. the only drawback? i only jumped once! Each voucher should really have 2 jumps each... but hell yeah! got on site around midday, after queuing, briefing and gearing up got to jump at 12.45, pretty quick seeing as there were so many people jumping around the same time! all staff made you feel relaxed and their approach to each jumper was professional yet friendly. the jump itself?...ridiculous!!! never felt anything like it. such amazing scenery to look at on the short journey up to 300ft!! i would highly recommend anyone to do this, the rush after is incredible! got a dvd of the event so that everyone can hear my manly screams as i jumped!! Everybody done a great job.all the crew were really friendly and helpful.had a great jump.excellent location.thanks. Great day out in Windsor! Staff were friendly and good fun, making everyone feel at ease with stories of "last time the bungee snapped...". Highly recommended! The jump was great, but the waiting was a killer! I had to wait over two hours to jump, the rest was great! I think the prices for the dvd's/photos/hooodies etc were very expensive considering you already paid Â£160 (for two people), I then spent another Â£110 on 2 X dvds, photos and hoodies. All round good. Professional & Helpful Staff Downside with waiting as they were running an hour + behind. DVD also lacked quality. Great jump, helpful staff, very good at relaxing jumpers. Well recommended. Did the bungee off the transporter bridge in 09' and came back for the big one in 2010 and wasn't disappointed. What a rush, would recommend to anyone! absolutley fantastic experience staff were great the down side was the dvd was very poor quality. Great experience - Would certainly recommend. The team were great! One comment would be that a lot of people brought friends and family to spectate so to increase revenue it may be worth adding a small seating area maybe with mobile dining facilities i.e. tea, coffee sandwiches. I thought the bungee jump was great and would definitely do another one with extreme element. Excellent experience, staff were brilliant very enthusiastic, they really seem to love their job. Only slight negative I have, is that the video I purchased doesn't seem to be of very good quality! This doesn't seem to be a general issue as I have seen very good videos posted on youtube, just an isolated problem with mine. What a big thrill! It was so great! I will be back! Thanks everyone! Was totaly amazing!!! Will definately be doing it again, thanx!! Had an awesome time, was a lovely day and the staff were welcoming. Have recommended this to all my friends! I had a great day! The bungee jump was one of the highlights of my year and I would love to try an even higher bungee in another country. postponed the first day but came back the following day and went to the front of the queue! Great experience. I can't find anything i wasn't happy with. Extreme Element - i found your service have the highest standards, thank you. It was a first time bungee for myself and husband. The guys are friendly, make you feel relaxed. Even though it's something I've always wanted to do, I did find myself changing my mind as I jumped off! It would have been better to have a prep talk before going up, then he just reminds you of what you've just heard. With it being my first time I didn't know what to expect, or what I should do, so being told when I am over 200ft in the air just about to reach the top to go, not ideal, ruined it a bit. Fantastic day out. I would also offer jumpers the chance to do another one at half price on the same day. All of the staff were friendly and helpful and did their best to relax the nervous jumpers. My jump was on time and I was very happy, the scenery at the bray lake was amazing especially at the top and I couldn't be more pleased with my experience. Lonnng way down but has to be done :) its the feeling of jumping off and plummeting towards the ground that is just immense, will definitely be doing another the higher the better :) this should be on everyones to do list! I loved doing my jump, it was excellent! However I was surprised by the amount of other people doing it at the same time as me, and the speed that we were doing our experience. How often does the Highest Bungee Jump run? Britain's Highest Bungee Jumping is available at 3 locations in the UK - each has limited availability on a select number of dates throughout the year. Please refer to our "Availability" tab for the most recent dates, or contact our customer service team. Can I book this for any date in the year or are there specific dates? 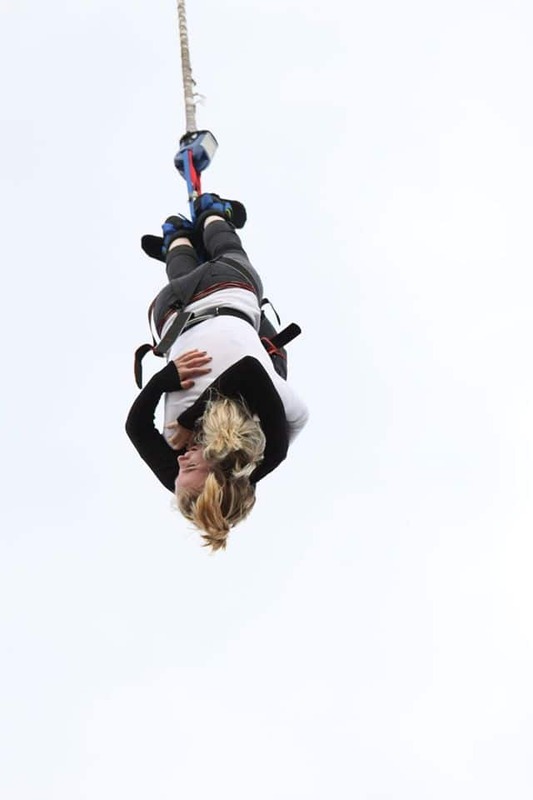 The 300ft Bungee jump is a special event, run on a limited number of dates throughout the year. Each of the 3 locations will have different dates and availability. Advance booking is essential. I would like to know what dates you have for Knutsford Cheshire for the 300ft bungee, and can this be done as a tandem bungee. The upcoming available dates for the 300ft jump in Manchester are as follows: 8th October 9th October Alternatively a 300ft jump is available at the Windsor location on: 28th August 15th October 16th October Tandem bungee jumps are available from both locations at the 300ft height. Where can I find out when the Britain's Highest Bungee Jump (300 ft!) is running? 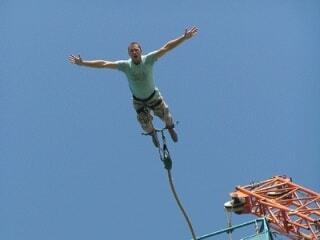 Dates for the 300ft Bungee Jump are featured on the availability tab on this page. You will need to call us to check availability.